A year ago I started reading The Mercurial Magpie, after Kirby commented on one of my blog posts. I've watched her blog grow and change over the past year into something amazing. I've also enjoyed getting to know Kirby, who is one of my good blogging friends. I've enjoyed seeing pictures of her dog Mugen, and discussing the little quirks of our Filipino significant others, talking about blogging ups & downs, (our love for CG fairy dust), and we both have a wicked sense of sarcastic humor, lol! The Mercurial Magpie blog is turning 1 year this month! Kirby will be having a huge giveaway including some amazing custom nail polishes based on her blog, that she had created by several indie makers. I was sent a bottle of The Mermaid's Song that she had created by Painted Sabotage. 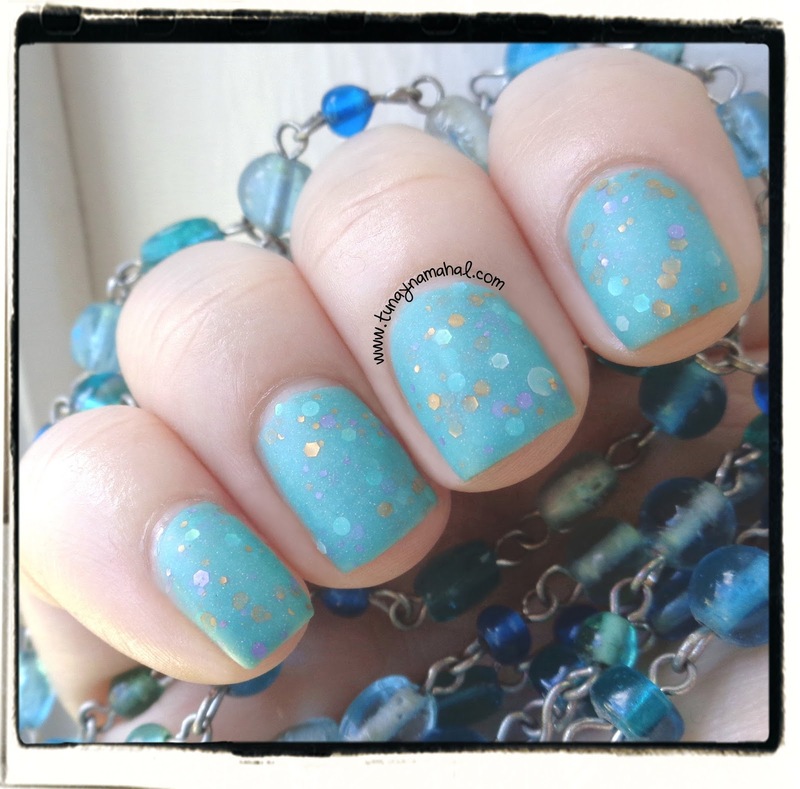 Kirby has a great love for mermaids that is perfectly captured in this polish. It's a stunning aqua green, with holographic shimmer, holographic circles and plenty of pretty gold, purple, green, silver glitters. 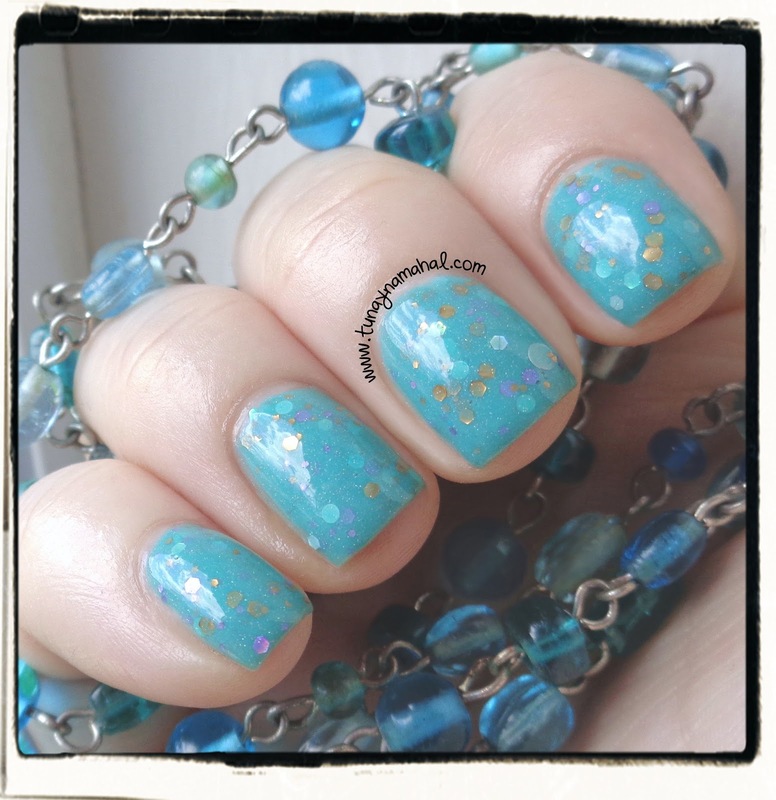 I also tried it with a matte topcoat, and I adore the way it looks! (For best results I always use a regular topcoat to smooth things out, and then I use the matte topcoat). Make sure to check out The Mercurial Magpie this Monday, Kirby will be getting things started with a huge giveaway! You could win a bottle of The Mermaid's Song, among many other awesome prizes! The Mermaid's Song is also available for sale in the Painted Sabotage shop!